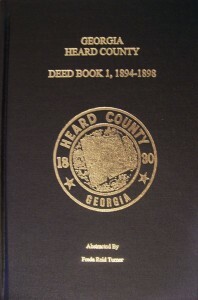 Deed Book 1: 1894-1898 is a 6”x9” hardcover book containing 263 pages and a first and last name index. It was abstracted and compiled by Freda Reid Turner from microfilm of Court House records, May 2004). 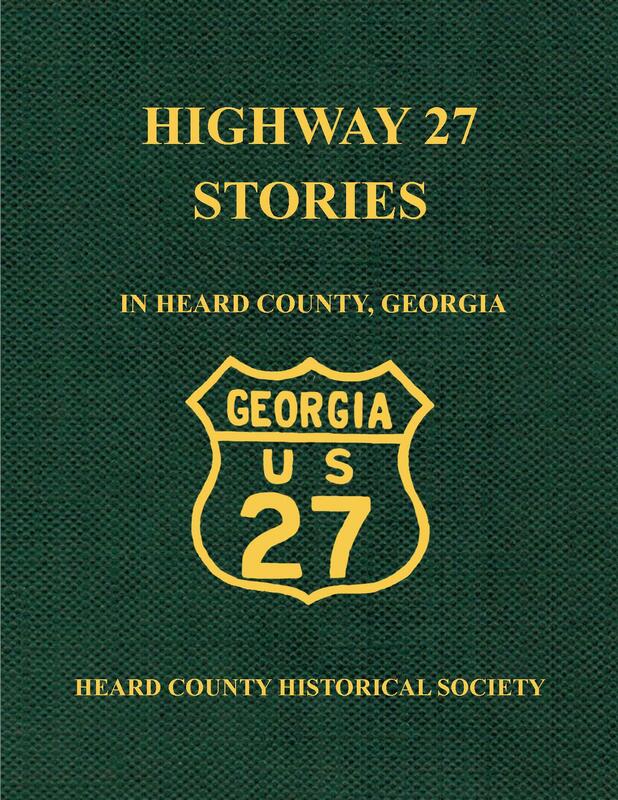 Heard County was established in 1830 from parts of Carroll, Coweta and Troup Counties. There have been three courthouse fires destroying all records. The year 1894 marks the beginning of the only available records. After that date, many land owners brought their deeds to the courthouse to be recorded to assure a more permanent registry of their property, with some as far back as 1840. 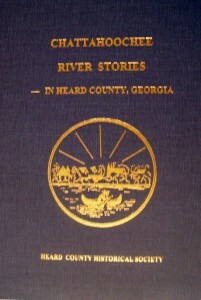 Much family history can be gleaned from this publication, names of neighbors, location of various settlements, the rivers and streams supplying water to the area and much more.Order your copy for $15, Sale Price $3.00 each or $5.00 a set plus $4 for shipping and handling per book. 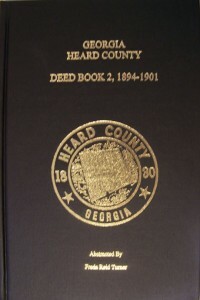 Deed Book 2: 1894-1901is a 6”x9” hardcover book containing 198 pages and a first and last name index. It was abstracted and compiled by Freda Reid Turner from microfilm of Court House records, May 2004)Land records have always been an outstanding source of information for genealogical research for names of people who were living in a particular area, many times names of the wife and children are listed. When considering the price paid for the number of acres sold, there is some indication of the economic condition of the area at that time. Farming was the main source of income, however there were other business operations at the time especially stores and the hotel around the square and business operations in other outlying parts of the county. Order your copy for $15, Sale Price $3.00 each or $5.00 a set plus $4 for shipping and handling per book. REPUBLISHED!! We have a limited number of soft cover editions that have been printed. They are for sale at the Gulf Station on Tuesday and Thursday afternoons from 2 to 5. Pick yours up today. Please call or stop by the museum to check availability and to purchase books and other products offered by the Heard County Historical Society.